I saw him last night. I saw Senator Marco Rubio in person as he delivered a speech at the Ronald Reagan Library outside of Los Angeles. I saw Marco Rubio catch Nancy Reagan as she stumbled. And I saw Marco Rubio offering coy answers to the question everyone in the press was there to see him answer: would you want to be vice president? Rubio, in case you’re late to the party, is a Florida Republican who beat out Charlie Crist for a Senate seat in 2010. He’s a “Tea Party favorite,” whatever that means, and “the most talented speaker in American politics today,” according to a recent Weekly Standard piece. He apparently reduces even the most hardened conservatives to adoring jelly. He is good-looking, that Rubio. Nice smile, too. After he’d escorted in Nancy Reagan (who wore a white suit and looked alert, though frail) and gotten introduced by library trustee Gerald Parsky, Rubio ascended to the lectern. It was flanked on either side by two American flags against a blue curtain backdrop, and bore a presidential-ish seal complete with the bald eagle clutching arrows in one talon and an olive branch in the other. This was clearly designed to be a test drive, if you will, for the real thing. Rubio is known as a Tea-Party candidate, or semi-Tea-Party candidate, but he didn’t throw any rhetorical bombs yesterday. That alone made him sort of agreeable. There were moments when he dared to offer a gram of risky honesty and an ounce of real ideas. Whether you think that’s correct or not, it’s not a fairy-tale position. Of course, it’s also a politician calling for sacrifice through, well, taxation. But let’s not get the poor fellow in trouble with Grover Norquist just yet. Now, I don’t mean to be grudging in my praise just because Rubio’s a Republican. But neither do I want to be excessive in my praise for the same reason. Here’s the problem: Yes, without question, Democrats are craven and feckless, not to mention enslaved to bad ideas and dumb interest groups. The trouble is just that Republicans, anno 2011, are insane. So my standards are relative. I regard even a glimmer of reality-based wonkery from a Republican as something that demands society’s protection, like the ivory-billed woodpecker. Certainly, Rubio offered only a very little in the way of reality-based wonkery. But by the standards of today’s political conversations, he was still noticeably less partisan and vacuous than his peers. He did not, for instance, do any of the following: Solely blame Obama for the deficit; pretend that cutting unspecified wasteful spending would balance the budget; suggest Democrats are soft on terrorism; accuse secularists of trying to stamp out religious faith; complain about a war on Christmas; rail against judges “legislating from the bench”; suggest that increased oil drilling at home would grant us energy independence; demonize climate scientists; demonize Ben Bernanke; demonize fiat currency; demonize The New York Times; demonize liberals; demonize unions; or demonize anyone, actually. He even conceded that liberals aren’t evil, they’re just wrong. But, if we’re going to make Reagan comparisons, I’d have to say that Rubio’s Republicanism felt sort of—and this is the best I can do for now—high school extracurricular-y. It felt like the politics of a hardworking, decent guy who was brought up Republican and finds he wants to get involved with student government and college clubs and that sort of thing. He’s got the basic ideas and rhetoric down and believes them, but there isn’t a ton of substance behind it. There’s a worldview, but it’s basically a prefabricated one that’s ready-to-wear: Free enterprise and limited government will save us, we need a strong defense, taxes should be cut, and so forth. Certainly, Reagan had a similar collection of principles. But Reagan’s were those of a man who starts out with one set of political beliefs and, gradually, as he arrives at what he feels is a better understanding of the world, sheds them one by one in favor of another set of beliefs. Call it the zeal of the convert, or just call it the conviction of someone who knows what he thinks because he’s thought a lot about it. That’s not to say Reagan’s convictions or policies were right—I’d argue they often were not—but they generally were the product of reflection. 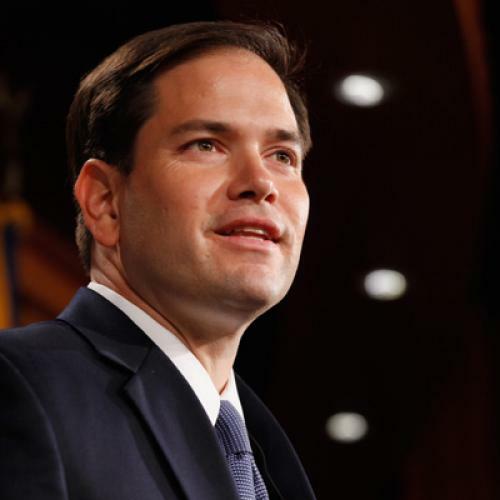 Marco Rubio’s beliefs don’t seem like that. He’s thoughtful enough, but not so much as to be dangerous to himself or to his party. That’s probably going to keep taking him places. I just doubt it’s going to be anywhere all that interesting.